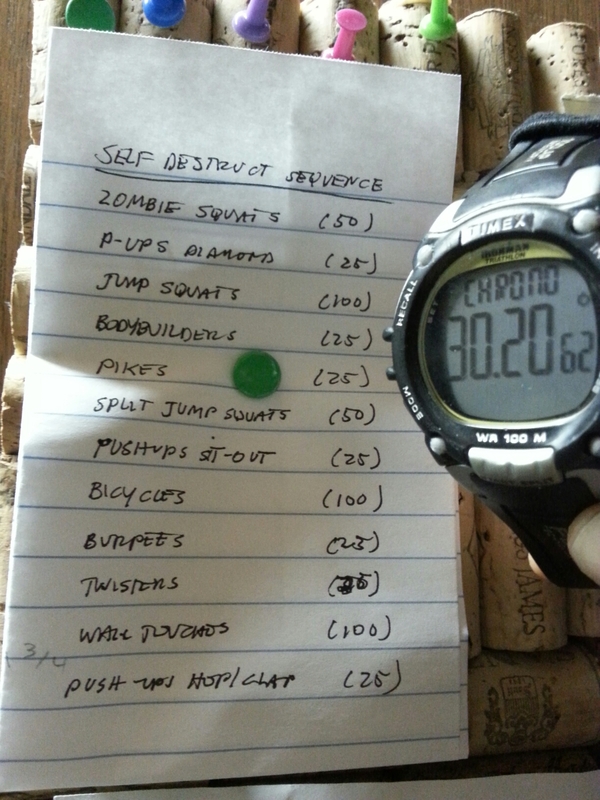 Self Destruct Sequence 30:20:62 | Robert Mitchell Jr.
Just completed my personal best on the Self Destruct Sequence workout from The Calisthenics Codex — 30:20:62 (that’s thirty minutes and twenty-one seconds in English words and round figures). Give it a shot and let me know how it goes. If you’re feeling sassy, shoot a video and post a link in the comments section in The Calisthenics Codex Hall of Fame. The Calisthenics Codex — which has a 5-star ratings on Goodreads and Kobo by the way — is fully illustrated with photos. Beginners get started with easy routines like “Circle Time” and “Bad Karma” eventually working up to tough challenges like “Gut Check” and “Death March.” 12 workout types. 26 lists of calisthenics with names like “Gym Class Flashback,” “Steampunk Nightmare” and “Self Destruct Sequence” to create one of over 2 million possible workouts! This entry was posted in Martial arts, Writing and tagged calisthenics. Bookmark the permalink. Pingback: Self-Destruct Sequence: T.I. #116 | Robert Mitchell Jr.
Pingback: Cord and Rule Month 1 and Training Involution #129 | Robert Mitchell Jr.